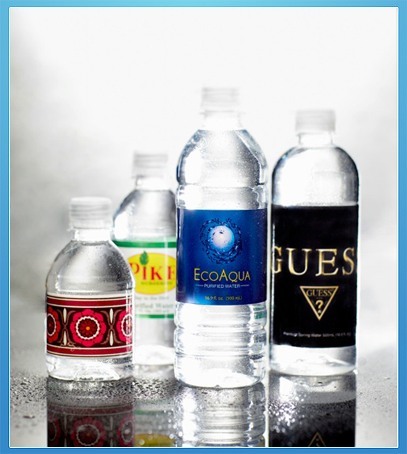 Something as simple as personalized bottles of water can present excellent marketing opportunities for entertainment venues, car dealerships, golf courses, and other businesses, and the professionals at Piedmont Springs can help you grab the attention of your customers, guests, and clients. We specialize in providing businesses with bottles of refreshing water, available in a variety of sizes and customized with the eye-catching, personalized label of their choice. We help maximize the promotional opportunities a water bottle presents by incorporating a three-turn translucent cap to ensure nothing distracts the recipient from noticing your label. We even laminate our labels, meaning that they won’t fade, peel, or disintegrate even when immersed in ice. Plus, we use heavier plastic to produce our bottles, so they’re more durable than the average water bottle. Our smallest bottles are perfect handheld giveaways, yet still feature our gorgeous custom label designs. Make the jump to our mid-size 12oz bottles for a larger design and more liquid refreshment. Offer your guests or customers a more standard-sized 16.9oz bottle wrapped in your customized label and watch your branding efforts soar. Choose our 16.9oz bullet bottles for the maximum branding impact, thanks to a specially designed smooth surface to fully accentuate your eye-catching customized label. The private label water bottles available at Piedmont Springs come in various sizes and shapes, so you can select the right size for your needs. We can fill these bottles with either purified water, which goes through a 10-step filtration process, or spring water, which comes from a pure, protected source in the Blue Ridge Mountains in Georgia. Perhaps the best part of working with Piedmont Springs is that you can expect professional results without going through an exhaustive process. A Piedmont Springs representative will work closely with you to be sure the personalized water bottle label looks perfect, and once you approve the label design, you can expect to receive your custom label water bottles in only two to three weeks. Contact the professionals at Piedmont Springs to learn more about how customized water bottles can leave a lasting impression on guests, clients, and customers. Contact the professionals at Piedmont Springs to learn more about how customized water bottles can truly leave a lasting impression on guests, clients, and customers. We are happy to provide promotional water bottles for organizations across the country. Leave a lasting impression with eye-catching custom water bottles. Click below for pricing and delivery information. Piedmont Springs is a leader in the bottled water industry and has the experience and expertise to help your business maximize its branding opportunities. We’ll work closely with you to create a gorgeous, custom design for your labels that is sure to be attention-grabbing. Click below to see some examples of our label designs. At Piedmont Springs, we offer a variety of pricing and delivery options to help accommodate nearly any marketing budget, including bulk purchase discounts. Click below to learn more. If you’re ready to take the next step in your marketing efforts with beautiful, custom label water bottles from Piedmont Springs, click below to start the design process. Starting the process of designing your custom label water bottles doesn’t have to be daunting. Spark your inspiration by checking out our photo gallery of labels we’ve designed for previous customers. © 2019 Piedmont Springs | All rights reserved.